If spending thousands of dollars has been your only hold up in replacing your roof, we encourage you to read on as we uncover 2 affordable options that can help you achieve getting a new roof for your home in Lexington, KY.
Before we get into all of the details let’s clear up some likely skepticism. Yes, of course there’s a catch. However, if you’re fair to yourself by learning more about what we’re sharing with you in this article, then you’ll be one step closer to having a new roof for a small to almost no investment at all. Your options are going to be subject to your circumstances. The two (2) affordable options include filing an insurance claim if your roof has been impacted by storm damage, but if not, we now offer easy financing with flexible payment options. Let’s start with the insurance claim and how it works for you. Before we begin, let’s state a couple of facts that might surprise you. 1. On average, 6 out of 10 roofs we inspect have some sign of storm related damage. This often includes wind damage and hail damage. Many homeowners are clueless that their roof is currently damaged. 2. Your individual insurance premium cannot increase by law. Every policy has it’s own parameters, but when it comes to storm damages such as wind, hail, tornado, etc., they are considered an “Act of God”. Therefore by Kentucky law, your individual rates cannot be increased due to these types of damage. However, insurance companies may raise rates based on a zip code if enough properties are damaged within it. In order to know if you’re entitled to filing an insurance claim to repair or replace your roof, you first need to have it inspected. More importantly, you’ll want a roofing company who is trained and holds the proper certifications for an accurate and non-biased analysis. Lexington Blue employs a staff of inspectors who are certified as well as trained to identify signs of storm related damages. We hold HAAG certifications as well as an InterNACHI certification. 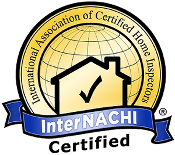 Through continued educational courses, these certifications keep our team of inspectors not only educated on identifying signs of damage, but also up to date on all related insurance claim benefits that you as a homeowner are entitled to receive. It’s simple. First and foremost, we inspect your roof for free. We don’t charge anything and you can expect a fair and complete analysis of your roof’s condition. Even better than that is the fact that it comes with no pushy sales tactics. Still skeptical? Hmmm. Well, we thought you might be and a fair dose of skepticism is healthy, so here’s a couple of recent examples on what other homeowners in Lexington had to say about our free inspection after we didn’t find any signs of storm damage. Landon Sexton came out to our house to inspect our roof. I was always under the assumption they would ty to sell us something and say our roof needed to be replaced. I was happy when he informed us our roof was in great shape and didn’t try to push a sale. I would recommend this company as a very honest company and will use in the future for all projects! We had a great experience with this company. They were quick, professional, and were honest when they told us that our roof did not need repair. We will definitely use them in the future for any roofing needs and would highly recommend them to anyone who is in current need. If we have identified signs of storm damage and we feel you might be entitled to filing an insurance claim, we walk you through an easy step by step approach to getting it started. Once a claim has been filed we meet directly with your insurance adjuster to validate found damages. As you can see from the image above the adjuster is confirming the damages we marked on the roof. Upon your adjuster’s approval, we make the process seamless and affordable. We perform your full roof replacement for only the cost of your deductible. If your deductible, for example, is only $1,000, then that’s all you’ll have to invest for all materials and labor. This could result anywhere between a $7,000 – $20,000 savings for you subject to your roof’s size and replacement requirements. There’s no hidden catch. Request a free inspection, file the claim and have us perform the full replacement for only your requirement by law, which is the cost of your deductible. The second affordable option still requires a full investment, but we can help lessen the expense with our easy roof financing. Whether you have poor, bad, good, fair or excellent credit, we have available options for everyone to apply. We don’t expect you to be a financial wizard and you may already have available financing at your disposal, but if not, we might be able to offer you better options than what you could possibly get on your own. Let’s compare how industry related financing is different than traditional home or personal loans. Take the automotive industry for example. Select manufacturers actually have their own separate financing company. They may offer more favorable financing if you are actually trying to purchase their made vehicles vs. buying another manufacturer’s brand. The same rings true for roof financing. We represent top roofing manufacturers who also offer their own form of financing and as a result, may offer more favorable financing options than what you might be able to get with your own bank or credit union. We basically have two types of financing options that you can apply for. One offers 0% same as cash for up to 12 months and the other includes little to no down payment requirements with low monthly installments. Whether you want a finance offer that gives you time to pay or simply want a more favorable term and payment, Lexington Blue offers the financing you need to fully replace your roofing system. Lexington Blue helps families everyday by offering an unmatched service. 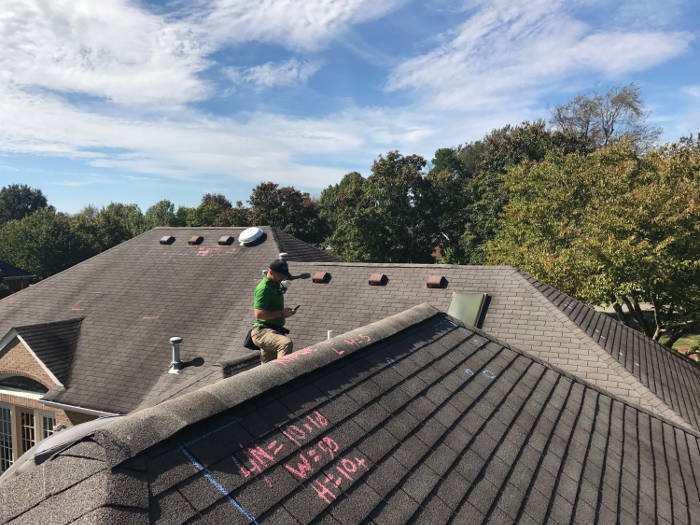 From the beginning of our inspection all the way to warranty, we are dedicated in providing the best roofing service you can get in Lexington, KY. Beyond our commitment to quality service is assisting you with a more affordable way to make your roofing investment easier. We treat your investment with the same respect as we do your installation. Rest assured that you’ll have the very best team by your side. We’re proud of our crew, our quality control staff and our ability to make it easy for our clients to invest in protecting their home. We’re with you every step of the way! Replacing or repairing your roof can be an uneasy feeling for some homeowners. There are many variables to consider, especially when factoring in the cost associated with it. 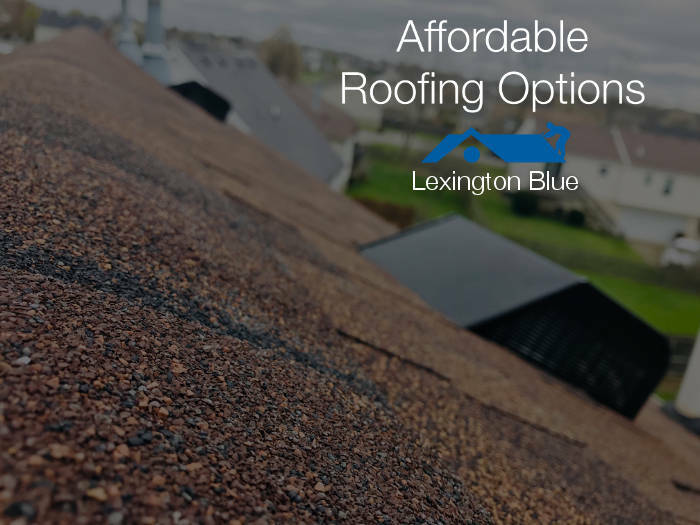 Trust in Lexington Blue to provide a roofing consultation that comes with the very best in repair or replacement options as well as how you can accomplish protecting your home more affordably!